Your first consultation will be up to one and a half hours. You will be asked all about your current symptoms and medications, your health history, your family medical history if known and other questions that will help them build a picture of you. The consultation is completely confidential and the consultation will be held according to the code of ethics. For more information about this click through to the Society of Homeopaths Website. At the end of the consultation you will be sent a prescription and details of where to purchase your remedies and how to look after, store and take the remedies. Will be booked at an appropriate time for you to assess your progress, this may be anytime from 2 weeks to 8 weeks after your first consultation, we will discuss the best option for you. The second and subsequent consultations are usually half an hour in length. This is an opportunity to discuss your progress and revisit your current symptoms and any changes that have occurred. We will make a personal plan with continued support for as long as you need it. Everyone is different and will need support in different ways. Your personal health plan will be tailored for you. I often work with both parents and children. If you would like to have homeopathic treatment for all of your family we can work out a package that suits you and your family. I will need to have an initial consultation for each member of the family. After that, we can have joint follow up consultations to keep your whole family in the best health possible. Your consultation can take place by video call. I usually use Zoom because it is a good quality video but I can use Skype, What’s App, Messenger Video or FaceTime. You can choose the time of the consultation in your own time zone. You can be anywhere for your consultation, a private quiet place where you will not be disturbed will be ideal. It is a good idea to choose a time you can be on your own, without interruption. Payment for your consultation can be in US Dollars, GBP or Euros. You will be able to pay by Paypal, credit card or bank transfer. After the consultation you will be sent an invoice with details of how to make a payment. You will be able to choose to pay for each follow up consultation as they happen or you can prepay for multiple at a discounted rate. If you have multiple family members you can also choose to book joint consultations which will last for 55 minutes. What can I expect after a consultation? 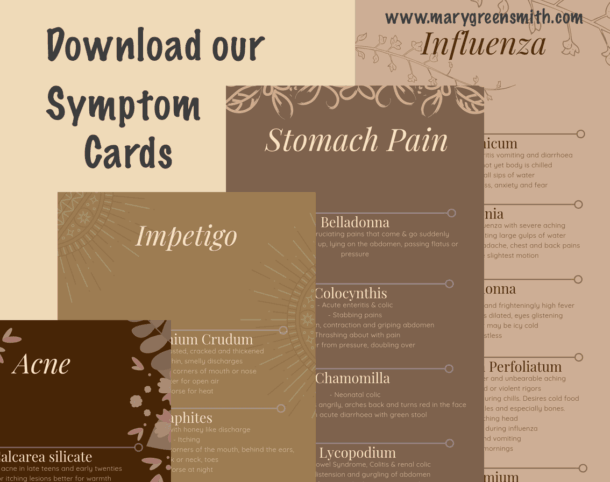 Your remedy cards will go straight into your downloads folder once you have signed in below. Join our mailing list and receive the latest news, offers, downloads and updates from our team.